Property damage comes in many forms and can strike at any time. Whether it’s a water damage caused by a burst pipe or a fire damage, there is no shortage of situations that need emergency restoration. Besides the initial damage, your property can be at great risk for secondary damage if not remedied promptly. For example, fire damage can result in water damage from sprinklers, which needs to be taken care of before mold can occur. The most common type of property damage is water damage. This is largely due to the number of sources water damage can come from. 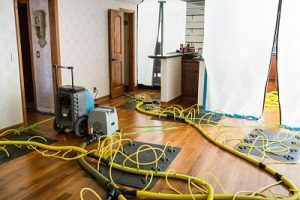 Water damage can happen because of a ceiling leak, sewage backup, or even a frozen pipe that bursts. When that occurs, you need water damage restoration to get your property back to normal quickly. Call 911 Restoration of Mesa today for your emergency restoration needs in Mesa, Gilbert, Chandler and surroundings. 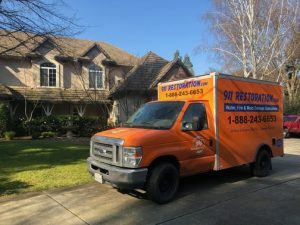 We have you covered whether it’s water damage, mold removal, fire, or sewage backup. With us, you can count on a Fresh Start. We believe in nothing but the best when it comes to your restoring your property. That’s why we use only the latest water extraction equipment along with commercial dryers. Plus, we use infrared technology to identify any wet spots that the naked eye can’t discern to ensure a completely dry property. This is especially helpful during the winter when water is constantly melting and freezing due to the changing temperatures. Keep an eye on your frozen pipes. If left unchecked for too long, the buildup of pressure can cause the pipes to burst to result in the need for flood cleanup. No matter what type of water damage you have you can call 911 Restoration of Mesa. We’ll be there within 45 minutes to deliver a Fresh Start you can depend on. Mold is almost as common as water damage when it comes to the types of property damage that can happen. This is mainly due to how closely tied to water mold actually is. Mold only needs a damp environment to thrive. Growth can start in as little as 24 hours in a damp environment. In addition to wet environments, mold also loves the dark. Due to this, mold is especially common in basements, crawlspaces, sheds, and other naturally dark areas of the property. Mold creates damage in two ways. Number one is the damage done to your property. Over time, your organic materials like sheetrock, wood, carpet, and other similar materials get eaten away. However, that’s not the worst of it. A mold infestation can also negatively affect the health of the inhabitants through their health. Some of the most common health problems include headaches and difficulty breathing. If mold is discovered, you need our mold removal experts in Mesa to safely and completely remove all traces. 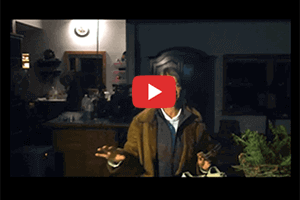 The spores can become airborne when agitated, which is why we use state-of-the-art containment measures and vapor barriers to keep the mold from spreading. We take your health seriously, which is why we also offer mold sampling and testing as a part of our mold removal process. As soon as you suspect mold, call 911 Restoration of Mesa for your mold removal. We’ll be there to deliver a Fresh Start you can breathe easy in. We service your mold remediation services within Mesa, Gilbert, Chandler, and surroundings. A sewage backup occurs due to a buildup of pressure in either your septic system or the city’s sewer system. After the pressure builds up to a certain point, problems like toilet overflow or burst septic pipes become more likely. What this means for property owners is an increased risk of raw sewage hitting your property along with flooding water. Raw waste requires professionals who are trained in its removal and cleanup. This material is actually considered a class three hazardous material making it necessary for us to wear protective hazmat gear before even attempting the sewage cleanup. The sewage cleanup process involves the use of commercial grade detergents and cleaners to make sure the area is decontaminated. Once decontamination is done, our professionals work on our flood cleanup by using a multi-step water extraction process. Having a multi-step process ensures that your health is not at risk and your property is completely dried out. A sewage backup is a serious matter. If you are in the middle of one, call 911 Restoration of Mesa promptly so we can deliver a Fresh Start you need to return back to normal. When it comes to sheer damage and threat to your safety, there is no other type of property damage more devastating than fire damage. Fire damage can consume your entire property if not put out soon enough. Even if it’s put out quickly it leaves behind smoke, ash, soot, and scorch marks at a minimum. This why fire and smoke damage restoration is an absolute necessity once the fire has been stopped. Because of the use of water or water-based products, fire restoration also involves the need for water damage restoration. Flooding is a very real possibility after the events of a fire. The water must be removed quickly less you also suffer from mold contamination. Fortunately, our IICRC certified techs are trained and experienced in this complex restoration process. If you have gone through a fire & smoke damage, don’t wait to call 911 Restoration of Mesa. We’ll take care of your fire restoration and any other needed restoration to deliver a Fresh Start. As is the nature with disasters, they can occur at any time. It doesn’t matter if its day or night. Normal day or a holiday, disasters can still occur. That’s why we make sure to offer 24/7/365 availability to handle your disaster restoration. No matter if it’s a devastating storm or burst pipes we have you covered at every step of your emergency restoration. The worst part of disasters happening at any time is the lack of ability to be financially prepared. That’s why as part of our services, we work with you through the insurance process so you can relax knowing that coverage is in process. We will even file the insurance claim for you if you want us to do so. Disaster restoration is most successful when it’s smooth and stress-free, which is our goal for our customers. Don’t wait to call 911 Restoration of Mesa after a disaster. 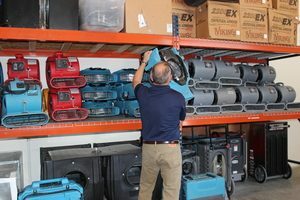 We’re prepared and standing by to help you with your disaster restoration. Your Fresh Start is within your grasp. 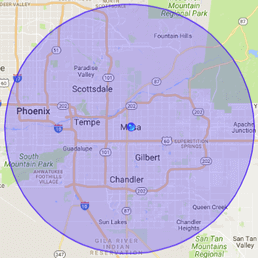 Servicing all of Mesa, Gilbert, Chandler, and surrounding neighborhoods.